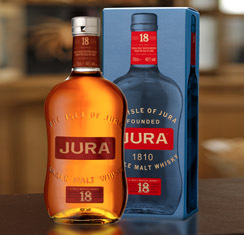 The Jura 18 was a bottle I picked up coming back from England last Thanksgiving and I was eager to try it because it wasn’t available here in the United States. The Isle of Jura 18 Year Old is a 40% abv scotch and the only scotch from that island. My memory of the Jura is that it’s sweet and very soft, no doubt a product of its age, and it definitely captures the mood Jura tries to invoke, which is a celebration of the island life. The Isle of Jura itself is 16 miles off the coast of Scotland, near Islay, and measures only 30 miles long by 7 miles wide, a population of only 185. The main settlement on Jura is a village known as Craighouse where they distill Isle of Jura. What’s most interesting is that there is no ferry connection to mainland Scotland, travel must be done through Islay, though that connection, or its heavy peat, doesn’t come through in the whiskey! 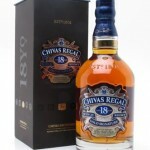 The Chivas Regal 18 was the only blend of the bunch and headquartered in Speyside. 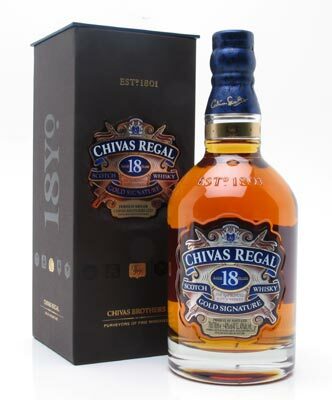 My novice palate had trouble with the Chivas Regal 18 because the spiciness tripped up the fruity flavors, having both really threw me for a loop. I could definitely taste both but I couldn’t get past the spiciness to really enjoy the fruit (I love spicy food) and spiciness isn’t something I typically taste in scotch, further confusing me a little. A little bit of history, Chivas Regal is produced in the oldest working distillery in the Highlands of Scotland, the Strathisla Distillery. Those were some notes I had from our Scotch Night. With each night, I’m slowly developing a better palate and a better sense of the scotches that I enjoy. 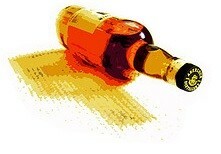 In prior scotch nights, I discovered I enjoyed peatiness and smokiness in moderation (Laphroaig and Lagavulin!) but liked the fruitier and more vanilla-y scotches for longer stretches. This entry was posted in Events and tagged Chivas Regal, Glenmorangie, Highland Park, Jura, Laphroaig, Macallan by Jim. Bookmark the permalink. Slight correction: Since last summer Jura does have a direct ferry connection to the mainland. Passenger only (with a RIB), but at least a regular and much quicker connection. Oooh good call, thanks Armin! Macallan is always pretty good!